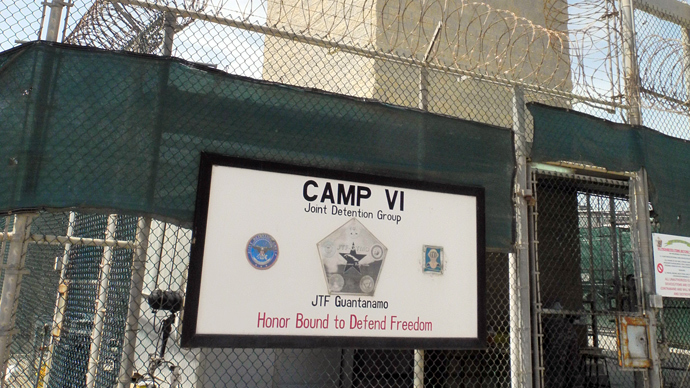 A US appeals court showed openness Friday to allowing Guantanamo Bay hunger strikers to challenge force-feeding procedures. Defense attorneys call the method inhumane, but the Obama administration says it is needed to keep order at the prison. Two judges on a three-judge panel were skeptical of claims made by government lawyers that the US Court of Appeal for the District of Columbia Circuit had no jurisdiction over the prison at a US Navy base in Cuba. The judges indicated that lower courts should allow detainees to challenge forced feedings. 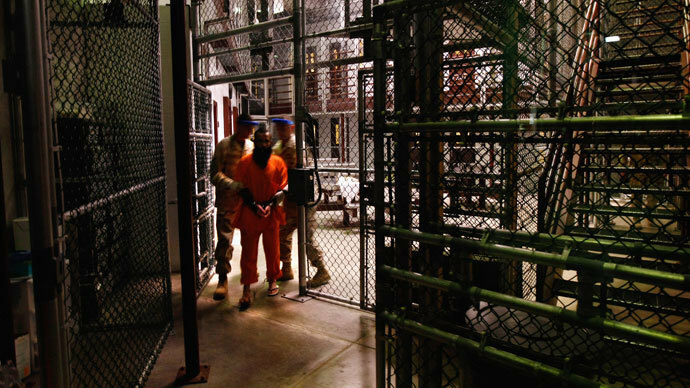 A decision is likely weeks or months away, yet their posture leaves open the possibility for a new challenge to how the US treats Guantanamo prisoners. Many US judges have concluded in the past that forced feedings in domestic prisons violate the Constitutional rights of inmates to control their bodies and to privacy, yet they have also found that prisons are allowed to keep order however operators see fit. Currently, 164 detainees are held at the prison - about half of which have been cleared for release or transfer but remain incarcerated. At the peak of the hunger strike in July, 106 of the then-166 prisoners were part of the effort to highlight their indefinite detention status and seizure of their belongings during cell searches. Of those 106, 46 were force-fed some meals. The strike began in February. Fifteen remain on strike and are force-fed, according to prison spokesman Navy Commander John Filostrat. They are fed liquid meals through tubes inserted into their noses that run down into their stomachs. Military officials maintain the practice is done to save the detainees’ lives, and that they follow all accepted protocol used by civilian prisons. Though President Barack Obama has said he wants to shutter the prison and has the executive privilege to do so himself, the White House continues to assert that proponents of the prison in Congress are to blame. 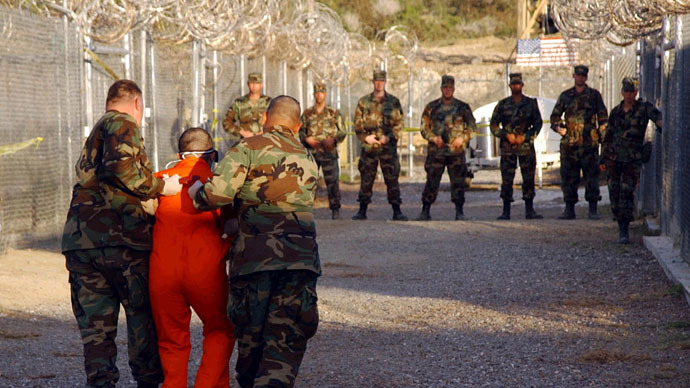 The US government claims it can incarcerate members of Al-Qaeda and associated forces indefinitely based on, in part, the National Defense Authorization Act of 2012 (NDAA). The NDAA does not bar the president from releasing detainees, nor does it prevent a president from declaring an end to hostilities against Al-Qaeda - which could then be interpreted by the leader as a reason to close the prison and move the detainees. 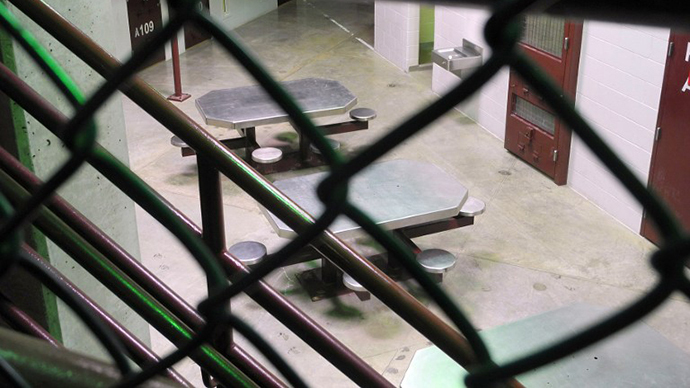 Obama defended forced feeding in April, saying "I don't want these individuals to die." Judge Thomas Griffith asked during the Friday hearing if the court should simply accept the government’s argument, without evidence that the forced feedings are necessary to keep order at the prison. "Is that your trump card? As long as you play that, that's the end of the inquiry?" he asked Justice Department lawyer Daniel Lenerz. Lenerz said court rulings have given civilian prisons much latitude to do what is necessary to maintain order. Given Guantanamo is a military prison, he said it should have more leeway. Human rights advocates and many medical professionals call forced feeding a violation of personal liberty and medical ethics. The World Medical Association has said the practice is "never ethically acceptable.” The UN Human Rights Commission has called it torture. "Forced feeding is unethical, it's inhumane, it's a violation of international law and it's a violation of medical ethics," detainee lawyer Jon Eisenberg told the appeals court. One obstacle in challenging the practice is a 2006 law passed by Congress disallowing detainees from suing over their living conditions. Lawyers in the latest case filed it as a request for a writ of habeas corpus, or the right to challenge unlawful detention. Such suits were not barred by Congress. Another judge on the panel said Friday that the US Supreme Court had “left it an open question” on whether detainees at Guantanamo could use habeas suits to challenge living conditions, adding that US courts had done so in at least four similar suits in civilian prisons. 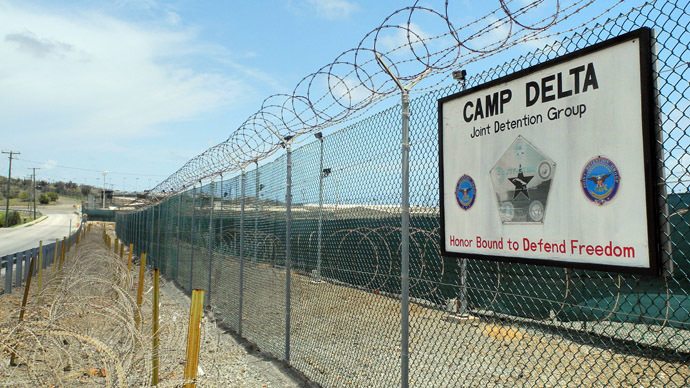 Should the appeals court allow the habeas suits, detainees would then have to convince the judges or a lower court that the US military does not need to use forced feeding to maintain order at Guantanamo, which the military has not needed to show thus far.